Champion wrestler of NXT and world-record powerlifter who signed with WWE in 2009. He's also a two-time Raw Tag Team Champion and two-time SmackDown Tag Team Champion. He has held the record for the longest tag team champion in WWE history. He played football at the University of Iowa, and competed in the U.S.A. Powerlifting meet in 2010, where he broke the state records for the 275-pound weight class. 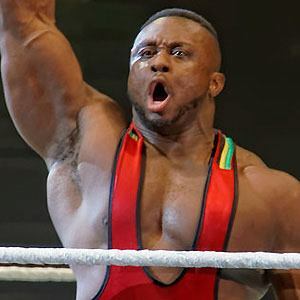 He joined Kofi Kingston and Xavier Woods to form the New Day tag team. He was born in Tampa, Florida. His parents were African-Caribbean immigrants. He squared off against Zack Ryder at the WWE Main Event in April 2013, where he defeated Ryder on a series of power slams.